It's time to open your first franchise store. It's an exciting event but one that can also be filled with anxiety. But you can alleviate much of that anxiety with some proper planning and by relying on advice and support from the franchisor. You've gone through all the training and had a "soft opening" to work out the kinks, bring employees up to speed, and make the necessary operational adjustments. Your job now is to create an awareness of your brand and new location among the community where you are opening. Remember, the franchisor has experience assisting franchisees opening new units. It may be in the form of policies and procedures for you to follow and it could also involve marketing support. The franchisor is in your corner because they have development schedules and timelines that need to be kept. Franchisors will sometimes have a corporate team devoted to assisting with store openings. They can help you with materials and other resources that you can use to build up excitement for your grand opening. Despite the help you receive from the franchisor, you will most likely be given some freedom to create a "buzz" that will work to attract attention - and customers - to your new store. Whether on your own or working together with your franchisor, begin by choosing an opening date and time that will give you excellent exposure. This may depend on your product or brand, but the point is to choose a high traffic time to throw open the doors of your new business. The more people, the bigger the buzz and subsequent ripple effect. Next, begin planning some media advertising in your local market area. This may involve TV, radio, and/or print media - don't forget social media tools like Facebook and Twitter. You should always negotiate and ask for any special "deals" these outlets can make for you. Send press releases to the local media outlets alerting them to the impending grand opening of your store. You'd be surprised how much media coverage you can get if you just ask for it. Let them know a couple of weeks in advance and then remind them a couple of days before the big event. As long as you're inviting the media to attend your store's opening, take time to invite other community members such as the mayor and the city council members. This move is likely to attract even more people. One more important group you should invite is your own personal circle of friends, family, and other business contacts. These individuals not only support you but give you the perception as being a regular member of the community, too. When the actual day is near, you'll want to do two more important things. First, prepare the exterior of your store - balloons, ribbons, signs, banners, etc. Stress the "Grand Opening" theme. The idea is to attract attention. Spend a couple of days preparing your new store's exterior properly so that it stops and grabs the attention of nearby traffic. Likewise, it's important what you do inside the store on the big opening day. Think games, refreshments, giveaway, and door prizes - offer things for both children and adults. Remember, you're trying to create a memorable first impression that packs a real punch. Sometimes live or recorded music may be in order, hire a DJ or a band. If possible and appropriate, bring in a guest speaker and have a ribbon-cutting ceremony (check with your local chamber of commerce). You're looking to create positive word of mouth advertising here. 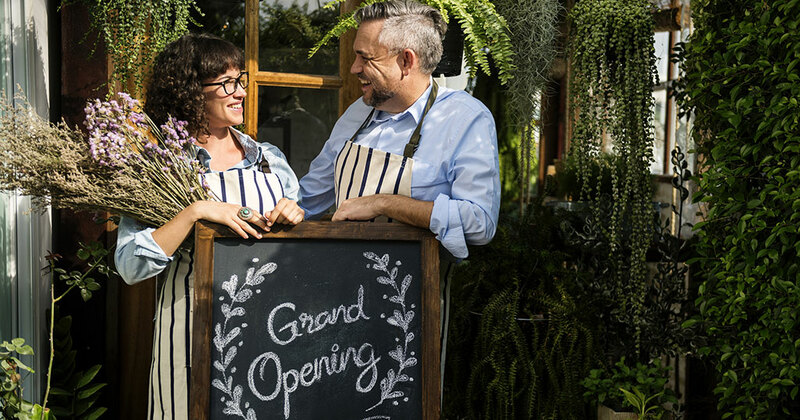 It can be a stressful few weeks leading up to the grand opening of your store but follow these steps and you are sure to not only reduce the anxiety but create one outstanding grand opening.